Are you ready to be part of the high-speed action of world-class alpine ski racing? You can be part of the team who puts together the only Audi FIS Ski World Cup stop in Canada and take pride in knowing the best downhill and super-G racers in the world are in your hands. You’ll get accommodation, meals, a few social functions, a lot of laughs and a volunteer gift if you commit to at least five days. We are looking for enthusiastic, reliable and happy-go-lucky people with a can-do attitude. You’ll be assigned to a crew and we’ll make sure we teach you everything you need to know to be able to contribute in a meaningful way. And if you already know it, we’ll make sure you have all the tools you need to make it a great day! Course Crew is typically the choice for the new volunteer. We match you up with seasoned veterans in this, the largest working group of the event. Track preparation, spectator fence installation, safety system installation, course control, gate judging, side-slipping and course maintenance is all part of the gig. Other positions like Media Operations, Medical, Radio Communication, Timing & Calculations and Volunteer Services are very limited in number and are filled based on experience and very specific qualifications. Executive & Board of Directors, Marketing & Events, Finance, Net Crew and Race Administration & FIS are currently full, but if you have a special skill set, please contact us. Positions are first-come, first-serve and those who volunteer the year prior get first right. So, it’s a good idea to have a secondary position in mind. 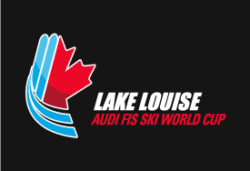 We commit an enormous amount of enthusiasm, professionalism and skill to the Lake Louise Audi FIS Ski World Cup. And we are always looking for team members who share the same vision and want to contribute in to the culture of ski racing in Canada. Why do we go to this effort every year? all our athletes, through the media and partner support that comes back to skiing either directly or indirectly as a result of these annual races. We also do it because we have the time of our lives, we feel like we have contributed to something momentous and we and come away with unbelievable accomplishments. It’s important to us to make sure you have an amazing experience, but our priority is to ensure a safe and spectacular race with the best possible results for every athlete. We are world-famous for our ability to make magic happen, especially under the most strenuous of conditions. As part of the team your expectations need to be aligned with that vision. There is no doubt that we have a lot of fun doing what we do, but there are times when duty calls and we are put to task. Expect to make lasting memories and friends, push yourself to the limit and then find yourself looking forward to doing it all again next year! Registration for 2019 coming soon. If you have been accepted as a volunteer in the past, you can LOGIN with your email and password to view and update your profile.